The immediate future of the International Space Station will hang in the balance during Sunday's liftoff of a Soyuz rocket with a third stage engine identical to the one blamed for an August launch failure. 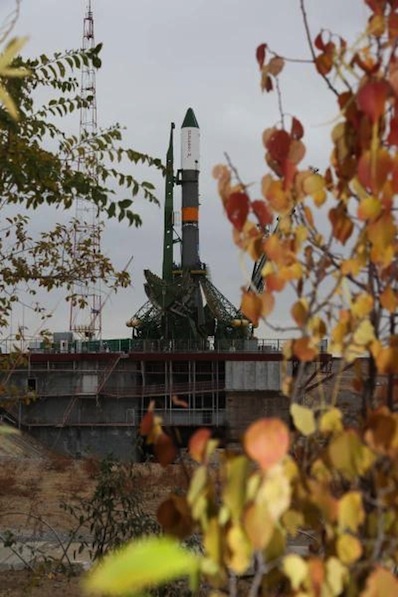 Launch is set for 1011 GMT (6:11 a.m. EDT) from the Baikonur Cosmodrome in Kazakhstan. The launch is hauling a Progress resupply spaceship, codenamed Progress 45P in the space station assembly matrix. It's loaded with nearly three tons of cargo for the space station, including propellant, water, oxygen, food and spare parts. The Progress will reach the space station and link up with the lab's Pirs docking compartment Wednesday. But what's inside the Progress spacecraft isn't as important as the rocket's success. The space station has enough supplies to continue operating through much of 2012. A three-man crew is waiting to board an another Soyuz rocket for launch Nov. 14, and Sunday's flight needs to go flawlessly before officials approve a manned mission. The space station's current residents -- commander Mike Fossum and flight engineers Sergei Volkov and Satoshi Furukawa -- will return to Earth on Nov. 22. Without a replacement crew, the space station would go into unmanned operations for the first time since 2000. NASA astronaut Dan Burbank and Russian cosmonauts Anton Shkaplerov and Anatoly Ivanishin would arrive at the space station Nov. 16 if they launched on time. Sunday's launch of the Progress cargo freighter will use a Soyuz-U rocket, the same configuration that failed during an Aug. 24 mission with another resupply craft for the space station. Manned flights blast off on Soyuz-FG rockets, which feature safety upgrades and an escape system but use virtually the same third stage engine as the Soyuz-U rocket. Engineers traced the cause of the August mishap to a low fuel feed to the gas generator of the third stage's kerosene-fueled RD-0110 engine, triggering an emergency shutdown. The rocket crashed back to Earth in southern Russia. Officials said the most likely cause of the low fuel feed was contamination in fuel lines or a stabilizer valve. Material or debris could have been introduced into the fuel system during pre-launch engine inspections. 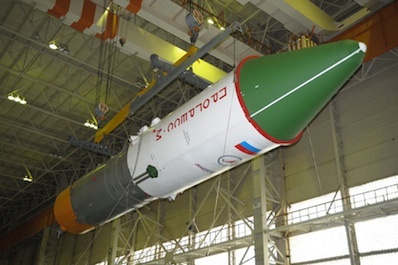 Russia ordered improved quality control processes, additional inspectors and more video-taping of critical rocket assembly steps. Officials returned 18 Soyuz upper stage engines for inspections and test firings at their factory at TsSKB Progress in Samara, Russia. Engines for Sunday's launch and the next two manned Soyuz flights were built and tested with new quality control procedures and were not among the engines returned to Samara, according to Bill Gerstenmaier, associate administrator of NASA's human exploration and operations division.